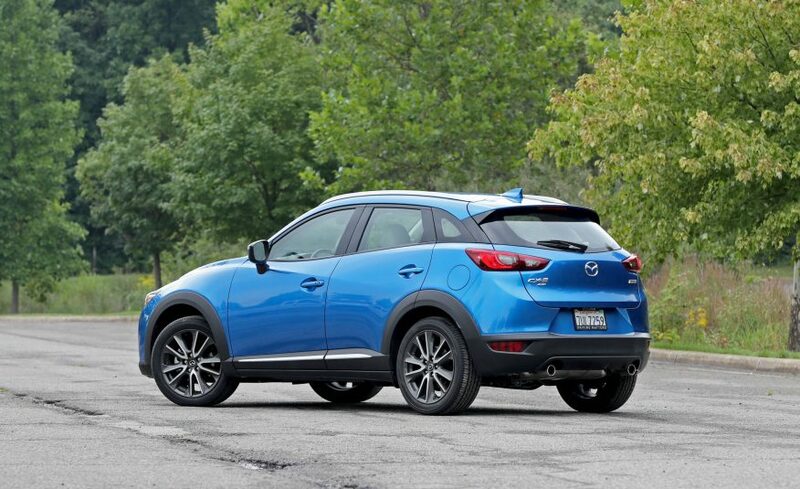 For its second model year, the 2017 CX-3 benefits from just a few minor trim and equipment changes. There’s been some fancy-wheel democratization, as the mid-level Touring trim now receives the snazzy 18-inch wheels that were previously included with only the top Grand Touring model. 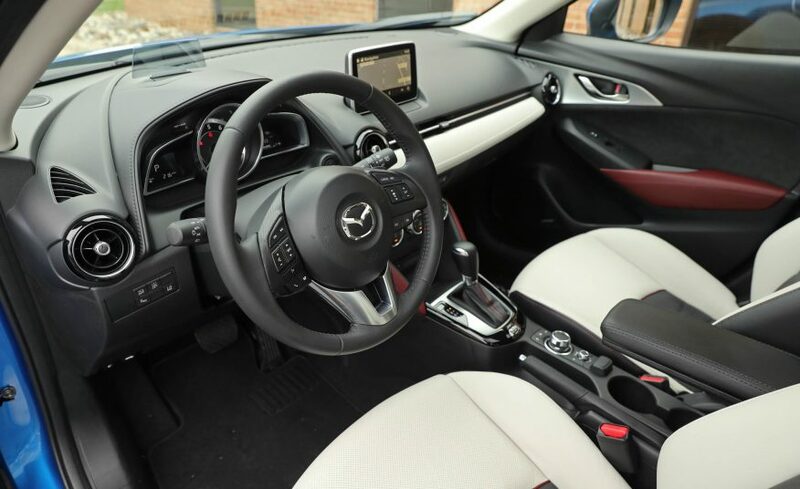 Active safety technology became a bit more accessible, too, as Mazda dropped the cost of the i-Activsense package offered on the Grand Touring (adaptive cruise control, lane-departure warning, automated emergency braking, and more); it now costs $1170, $750 less than before. 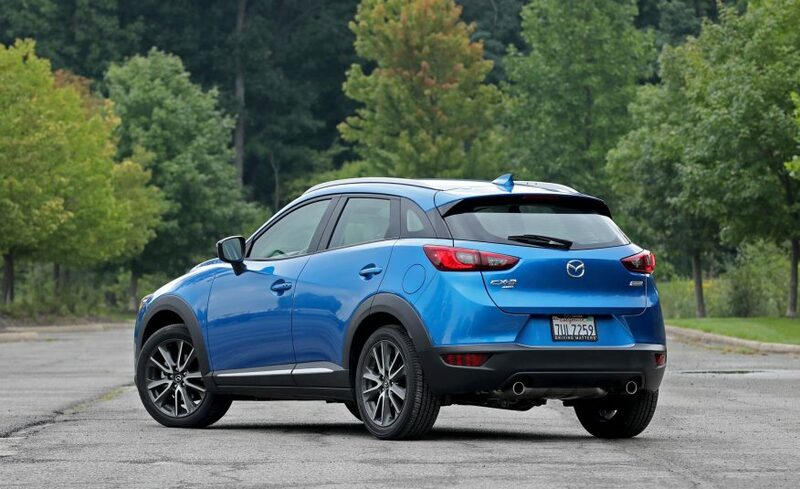 As with the beautiful MX-5 Miata roadster and the sharp CX-9, the CX-3 shows Mazda is on a roll design-wise, with its sharply creased sheet metal, tight proportions, and upscale detailing. 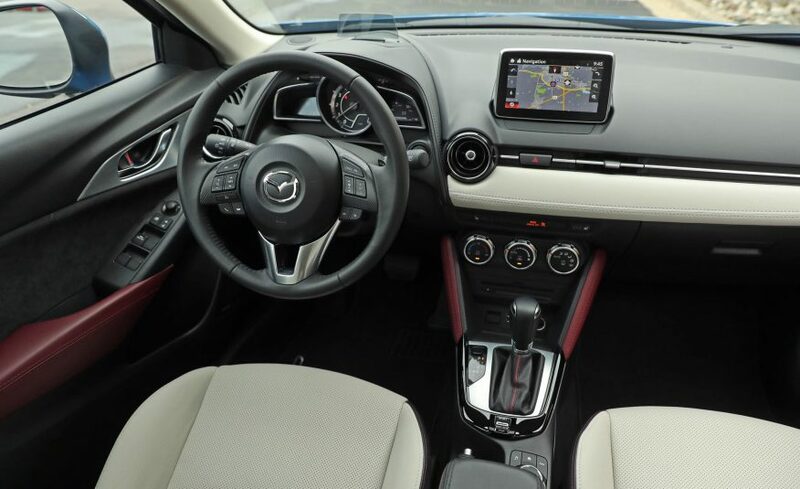 Inside and out, it looks much more expensive than it is, giving off a sort of budget Porsche Macan vibe. 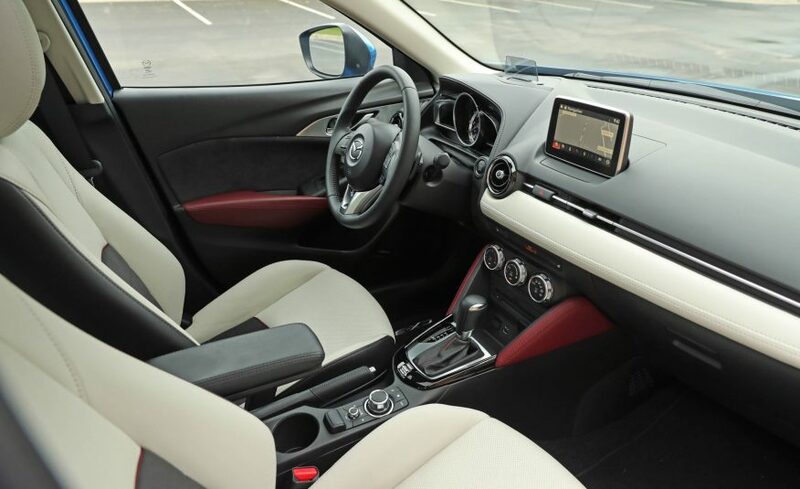 That descriptor also could be applied to its driving dynamics, as the CX-3 combines tautly controlled body motions, precise and perfectly weighted steering, and a responsive powertrain to make for class-leading handling. 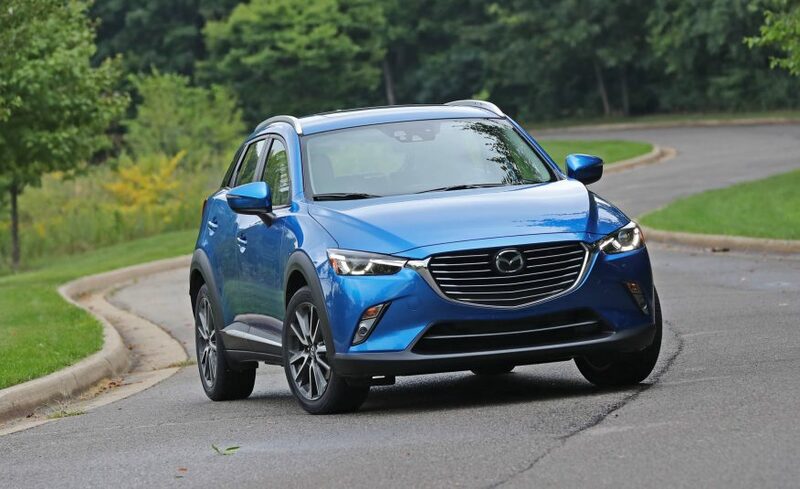 The sole 2.0-liter four-cylinder engine makes 146 horsepower, enough to motor the CX-3 to 60 mph in a reasonably quick 8.1 seconds. 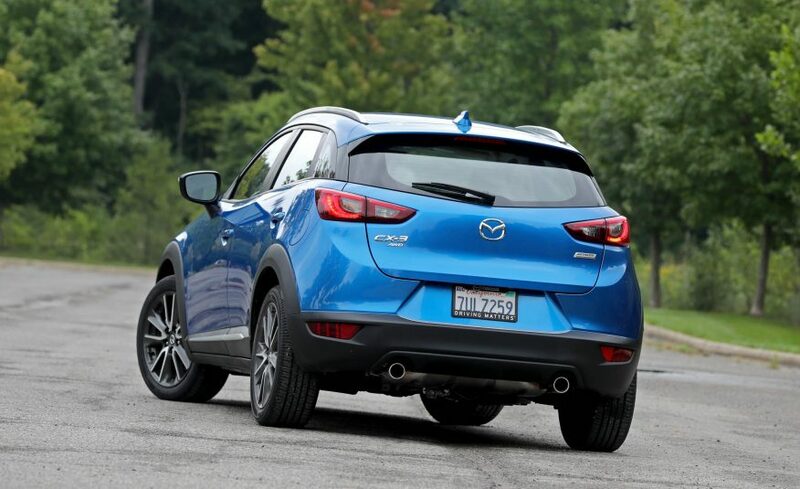 (That’s with all-wheel drive; a lighter front-wheel-drive CX-3 might be a bit quicker, but we’ve yet to test one of those.) 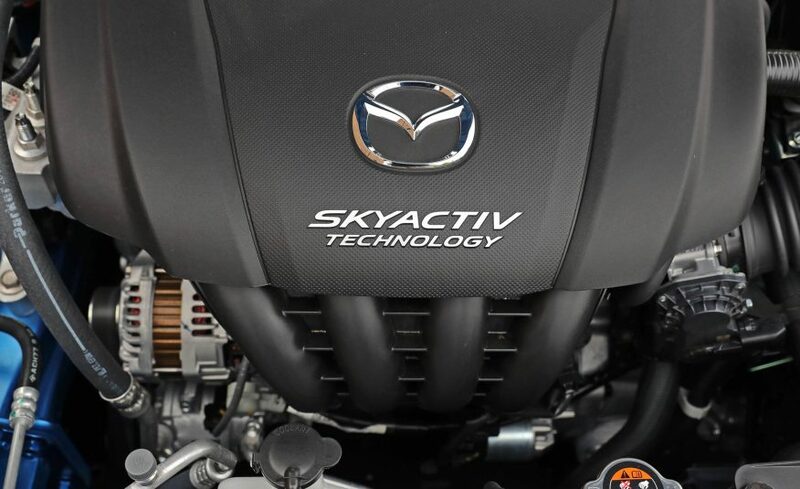 Combined with the CX3’s relatively low curb weight, this engine also earns competitive EPA fuel-economy numbers of 29/34 mpg city/highway with front-wheel drive, or 27/32 mpg with all-wheel drive. Also like the (far more expensive and larger) Porsche Macan, the CX-3 sacrifices some function for its appealing compact form. 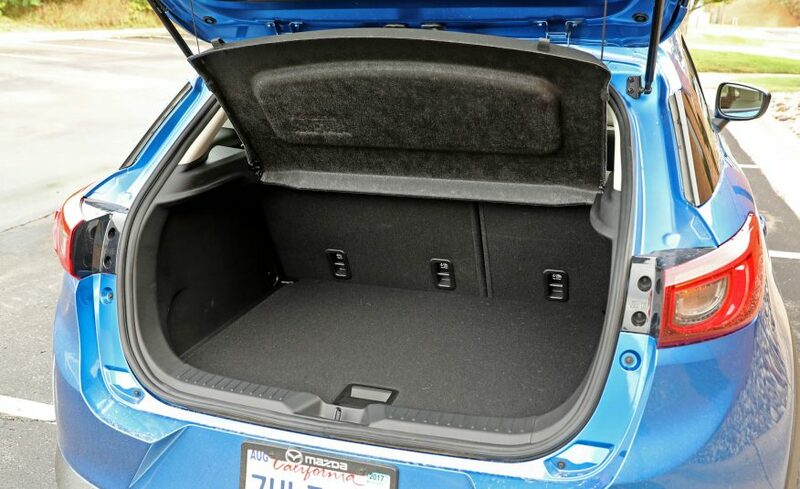 Packaging an all-wheel-drive system into such a short platform impinges on the space available for cargo: The high floor can make it difficult to load heavy items, and, with the seats up, its 12-cubic-foot capacity (10 with the Bose stereo) is less than you’ll find in the trunks of many compact sedans. 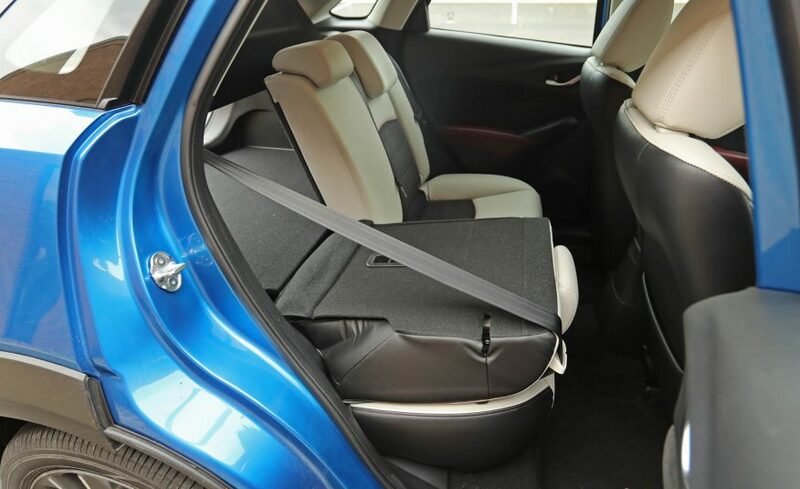 The rear seat is tight for two and uncomfortable for three, while the swoopy styling makes for small windows that may induce a bit of claustrophobia among some back-seat passengers.